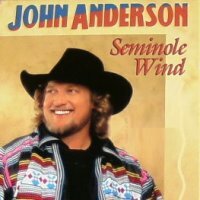 Seminole Wind | Lift Up Your Hearts! Not to mention that a love of wilderness areas was bred into my bones, whether New York's Adirondacks or Florida's wetlands, scrubs, and hammocks. And I'm a sucker for Dorian mode. In the land of the Seminole. Blow like you're never gonna blow again. The alligators and the gar. Now the Glades are goin' dry. I sat upon a cyprus stump. Here's the video now; thanks to Lime Daley for fixing my problem. You'll be happy to know that Jonathan and I looked up modes after listening to this, and now he wants to play around with composing something in Phrygian or Locrian! I can't wait to hear what he creates. Until I investigated just now, I didn't realize that Locrian is the only mode without the perfect 5th - it has a tritone instead. That makes it interesting, bu may also explain why it hasn't been so popular among composers. The Phrygian sounds delightful. I don't have access to the recording to post it here, but Jonathan and his friends did a wonderful job of performing Seminole Wind around Christmas. If you're friends with me on Facebook, you can hear it there.